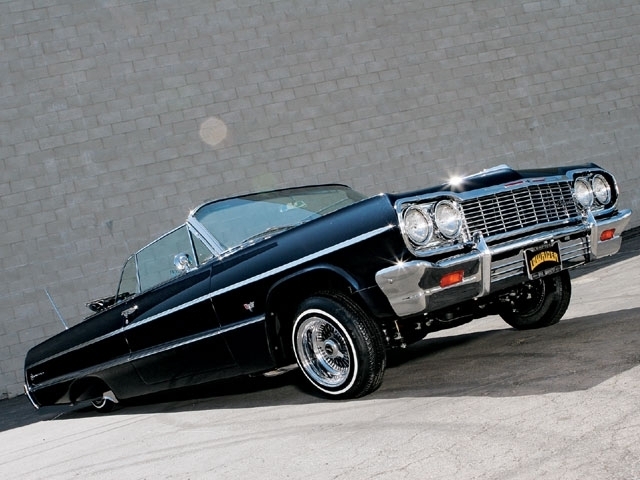 The lowrider car is as much about culture and lifestyle as it is about the automobile itself. 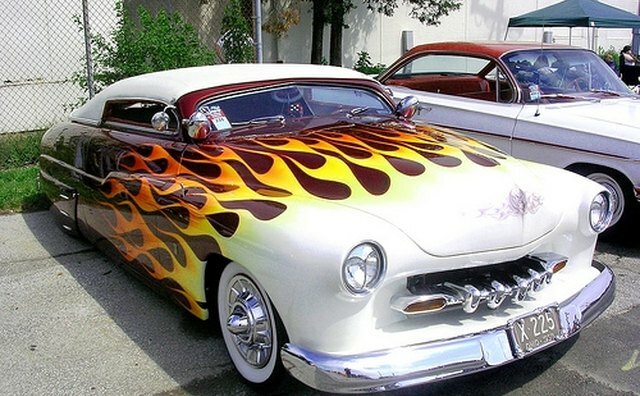 A culture originating with returning U.S. servicemen after World War II, the lowrider evolved from a driving necessity to a lifestyle statement. 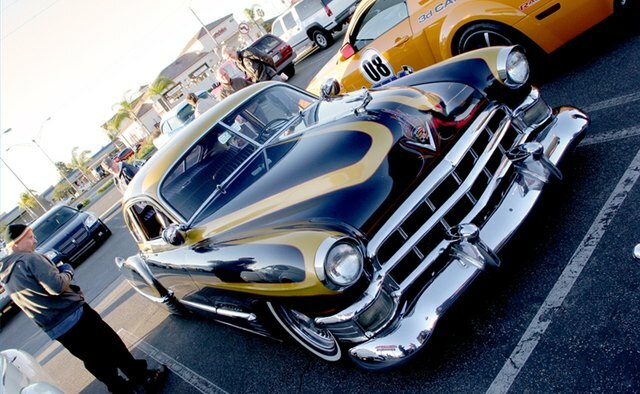 Although, for many years, it garnered negative reactions in the automobile collecting community, a pristine lowrider today commands top dollar, not only for its quality but for what it represents in the community it came from. 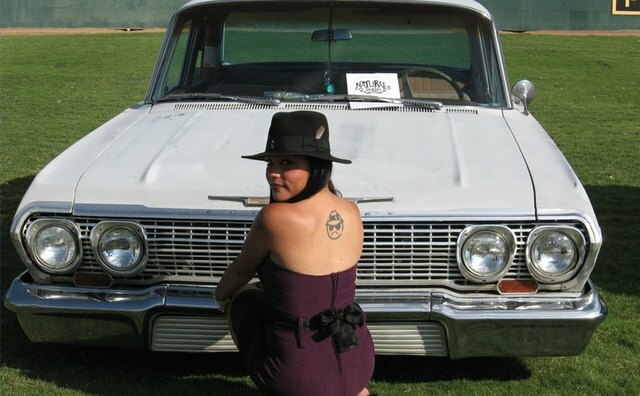 Lowriding originated with the Chicanos. 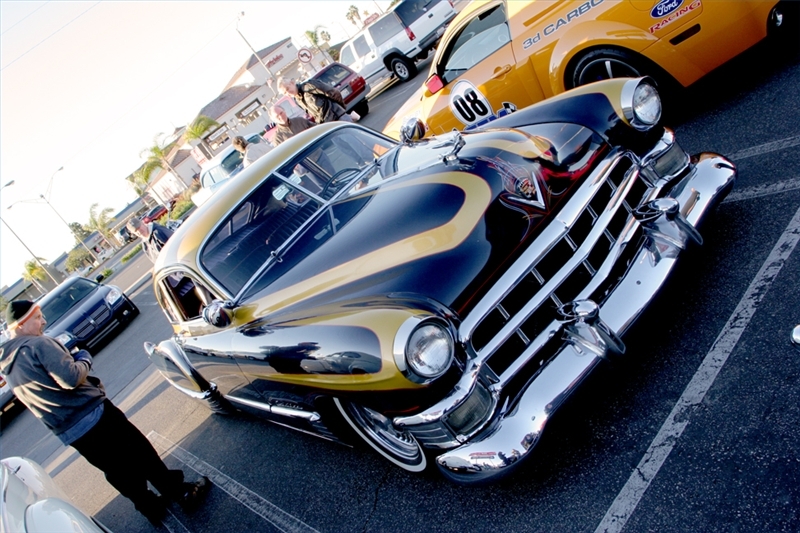 The lowrider car originated in East Los Angeles shortly after the end of World War II. Chicano men who joined the military returned with new skills, but it was an era of few jobs for Mexicans and fewer cars. Many war veterans opened garages to accommodate the influx of old cars for repair and custom work. 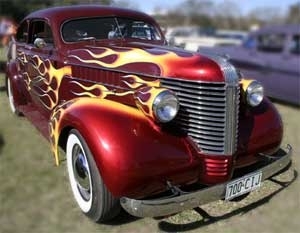 Early lowrider cars were often prewar Ford and Chevrolet coupes because they were cheap to buy. 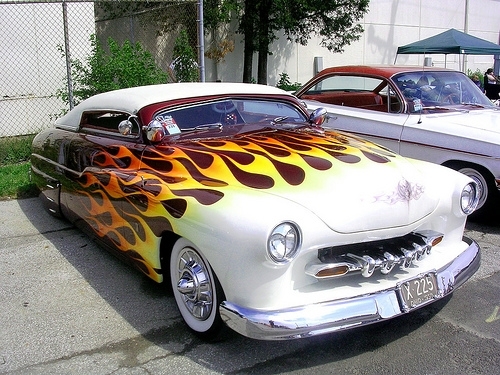 By the late 1950s, the 1949 Mercury, popularized by James Dean in “Rebel Without a Cause,” was the lowrider of choice. Others included the Oldsmobile Rocket 88 and early postwar Plymouth and Chevrolet coupes. 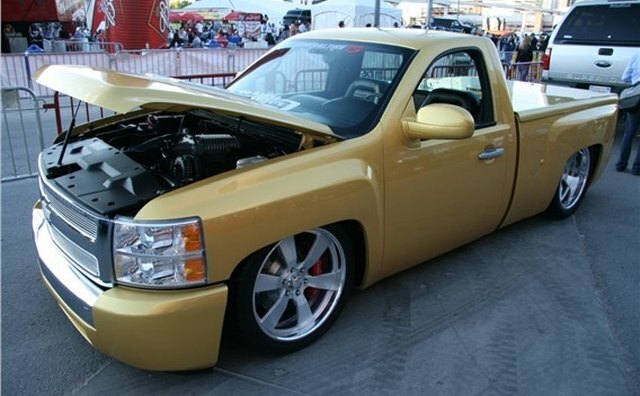 Typically, a lowrider is chopped and channeled to give it a lower profile with its rear end virtually dragging on the pavement. The pillars supporting the roof can be chopped as much as 4 inches to lower the roofline. The car is also channeled by lowering the body over the chassis and raising the floor. An adjustable suspension is installed to control height. Elaborate metallic paint schemes and murals featuring Aztec themes, buxom women or the Mexican flag are prominent on exterior. For a lowrider, it was all about looks and cruising local boulevards. 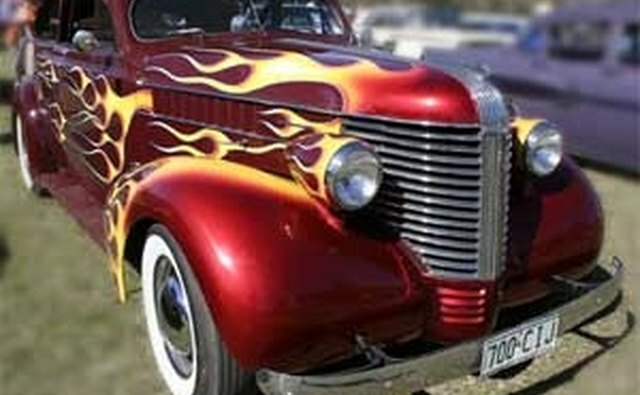 The lowrider car was an extension of the fashion sense of the Mexican-American. First Zoot Suits, and later baggy khakis, white T-shirt, chained key fob, bandana and a pretty girl in the passenger seat complemented the lowrider look. 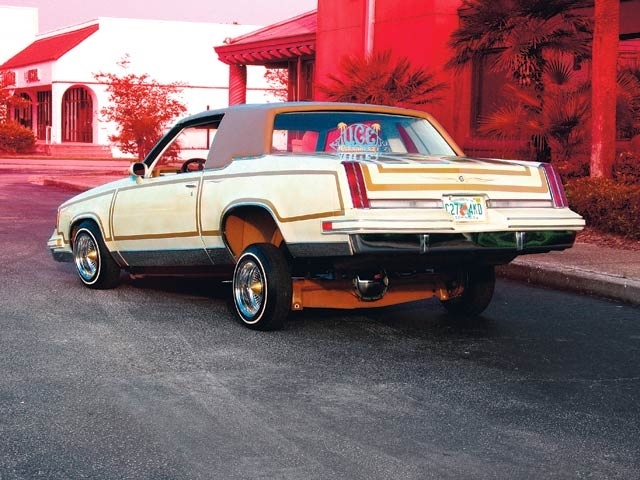 The lowrider was an expression of cultural, if not civic, pride. What Richard Petty was to NASCAR, the brothers Julio, Fernando, Oscar, Ernesto and Rene Ochoa were to the lowrider movement. They operated Ruelas Custom, a lowrider garage in South Los Angeles. In 1962, they formed the Dukes So. Cal., a lowrider club that grew to 29 chapters. The club cemented the concept of socializing, dances, cruising and shared love of the lowrider car and lifestyle. 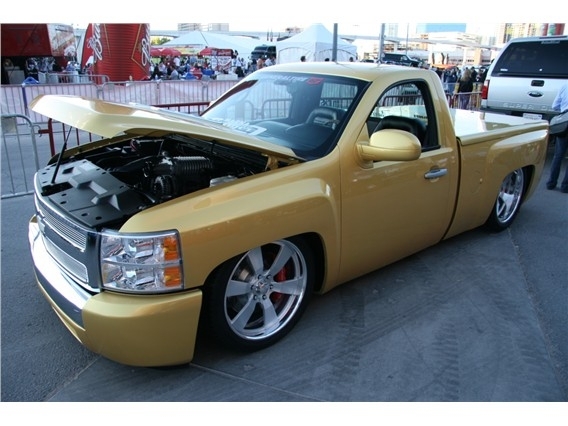 Each new generation brings new cars to the lowrider fold. 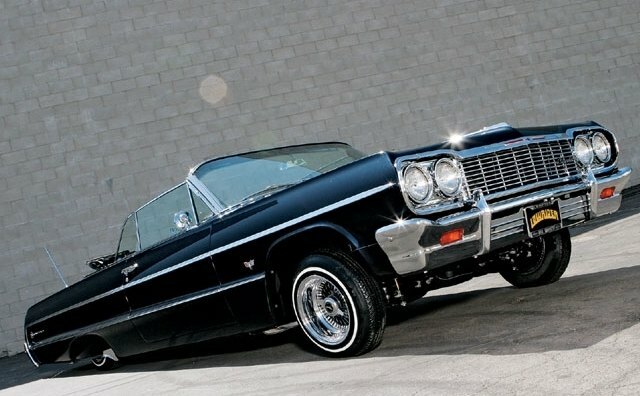 First-generation lowriders favor the 1940s and 1950s models while their offspring prefer the 1964 Chevy Impala. Second- and third-generation lowriders also have drifted toward Chevy Monte Carlos, Olds Cutlass Supremes and Buick Regals. Attention is paid to elaborate sound systems and hydraulic lifters for jumping contests. 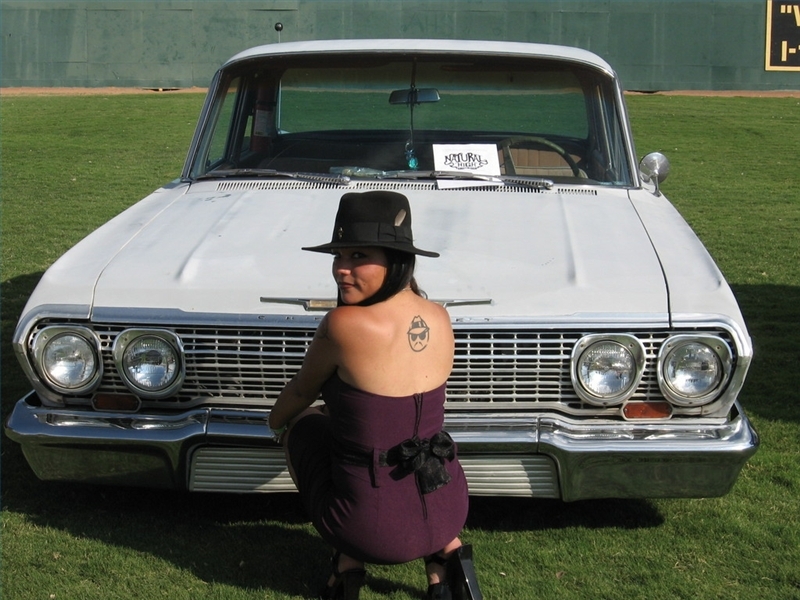 By the 1970s, the lowrider concept had influenced other ethnic communities, mostly with teens who adopted the lowrider in various styles, makes and models to reflect their own culture and image. By the late 1980s, lowrider Hondas, Toyotas, Nissans and Acuras were as plentiful as the iconic Chevy Impala.